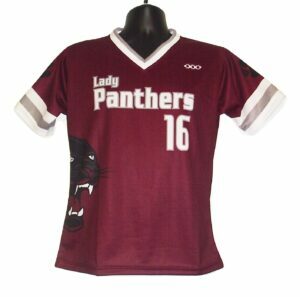 The women’s v-neck softball jersey is our number one selling style for fast pitch softball teams. Our performance fabrics wear well, look great, and will keep you cool and comfortable even during the most intense games. Front team names, logos, player names, front and back numbers, flags, and sponsor name are all included with the cost of the jersey. You’ll be ready to crush the competition when you take the field in your new custom softball jerseys from SSU.